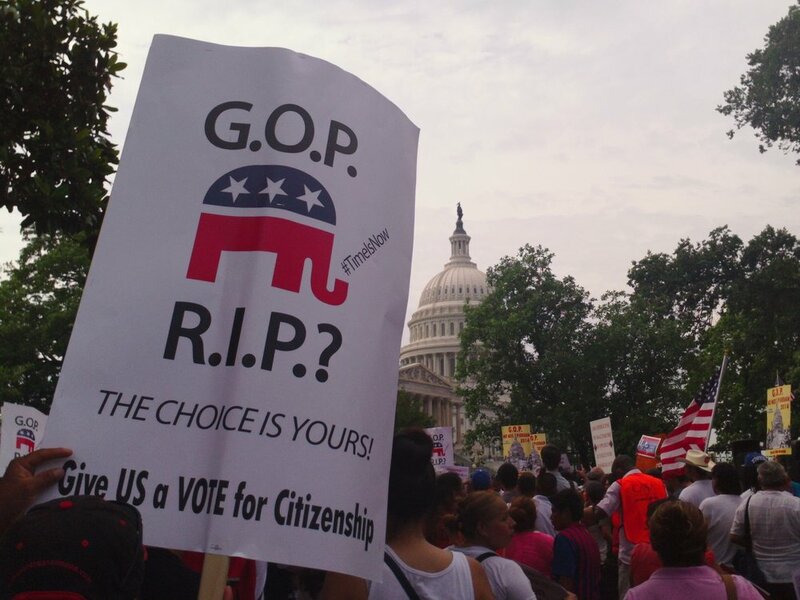 As House Republicans debate whether or not they will act on immigration reform, they should remember the deadline of Aug. 2nd that the Fair Immigration Reform Movement (FIRM) has set for the House to pass a bill containing a pathway to citizenship. Until then, and if House GOP members decide to ignore the deadline, FIRM will continue to support actions such as driving calls to Congress, sending emails and petitions, holding rallies, town hall meetings, the works. We will remind any lawmaker who votes against immigration reform that our political power will be unleashed against them come election time. So I hope House Republicans use their summer wisely and act in a bipartisan manner, like the Senate did, to craft an immigration reform bill that contains a pathway to citizenship and keeps families together. And act quickly to make the Aug. 2nd deadline. If not, we will make sure they hear our voices during their summer recess period.